Patrick Kabanda, a native of Uganda, has been passionate about music since his childhood, when he first heard the pipe organ at Namirembe Cathedral in Kampala. He was raised by his mother, a kindergarten teacher, in humble circumstances made more disruptive by the political violence that was wracking the country. After becoming a chorister at the cathedral, he found music a refuge, but also began to understand how the arts could help reconcile the conflicts that lay behind the hostilities, generate income, and improve people’s livelihoods. He learned the piano and the organ from cathedral organists in Uganda who saw his fascination, and continued to teach himself copying music scores by hand, playing by ear, composing, and practicing the art of improvisation. Later, in performances around the world, he saw how music connects with the human spirit: a Bach fugue or an African American spiritual can both move people of many different cultures. With that background, Kabanda has pursued a career linking the arts and international affairs. In his 2013 capstone project for a Master of Arts in Law and Diplomacy degree at The Fletcher School at Tufts University, entitled “Where Culture Leads, Trade Follows,” Kabanda outlined policy measures that could advance the value of African music in the international trade in services. At Fletcher, he was a 2012-2013 Charles Francis Adams Scholar and was awarded the 2013 Presidential Award for Citizenship and Public Service from Tufts University. Kabanda’s first book The Creative Wealth of Nations, published in May 2018 by Cambridge University Press, features a foreword from Amartya Sen, a Nobel Laureate and Professor of economics and philosophy at Harvard University. Kabanda has consulted for the Office of the Senior Vice President and Chief Economist at the World Bank. In his work with the Development Economics Impact Evaluation unit, he discussed policies that can advance entertainment education; he also wrote on the links between music, the internet and development for the “World Development Report 2016: Digital Dividends.” At the United Nations Development Program, he prepared three papers on creative work for the 2015 Human Development Report. Prior, he consulted for the New Jersey Performing Arts Center in Newark, New Jersey where he designed strategies to deliver arts education via digital technologies. 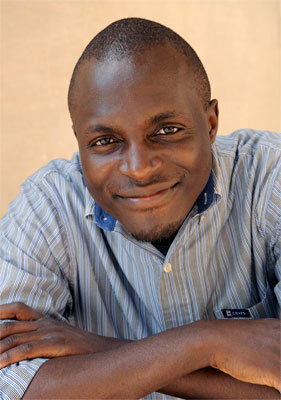 Kabanda earned his Bachelor’s and Master’s of Music degrees on scholarship at The Juilliard School in New York City. At Juilliard, he was awarded the 2003 William Schuman Prize for outstanding achievement and leadership in music and the 2001 Daniel and Nina Carasso Prize. He made his European debut in 2003 at St. Paul’s Cathedral in London. At the invitation of London’s South African High Commission, he returned there in 2004 to perform with other artists in celebration of the tenth anniversary of South Africa’s Independence. As a Juilliard delegate at the 2003 Sasakawa Young Leaders forum at the American University in Cairo, he led a discussion on music as a form of communication and also performed at Egypt’s All Saints Cathedral. In 2005, he toured Botswana, South Africa and Swaziland conducting research on music as social action. He worked with a youth choir in Kigali, Rwanda and a youth band in Gulu, Northern Uganda in 2008, and two years later visited Yei, South Sudan, where he discussed Arts in Education, Agriculture and the Environment with students in secondary schools, talks hosted by the Africa Education and Leadership Initiative. In 2009, he made his Scandinavian debut at the Åland Organ Festival on Åland Islands. In Chiang Rai, Thailand, he worked in 2012 with a team at the Doi Tung regional development project to prepare a new communication strategy for its work in helping ethnic minorities there to improve their lives, and helped make a short documentary, choosing music and contributing to filming, for its sponsor, the Mae Fah Luang Foundation — a video promoting the Foundation’s sustainable development practices in Thailand, Myanmar, Afghanistan and Indonesia. From 2004 to 2011, he was School Organist and Instructor in Music at Phillips Academy in Andover, Massachusetts, and has served as organist at other places, including as assisting organist at Trinity Church Wall Street in New York. In Asia, he has performed at the Hong Kong Cultural Centre, and in the United States, at Alice Tully Hall at Lincoln Center and at the Washington National Cathedral. In 2010, Kabanda served as Dean of the Merrimack Valley Chapter of the American Guild of Organists in Massachusetts. While he is now focusing on advancing the creative wealth of nations in development policy, he continues to play and teach piano and organ. His hobbies include soccer, landscaping, and photography — check out his photo essay, “A Ugandan in Southeast Asia.” Subscribe to mailing list.